If you’ve been playing Johnny Yachtracer for a while, you’ve said it yourself. If you’ve been playing Johnny Yachtwriter for a while, you’re written it. It’s a trite but perfectly-accurate assessment of an event in which scads of people had fun on the water, and a few of them won a thingie to take home. Happens pretty often in sailing, but nowhere was it ever more true than last weekend at the Leukemia Cup Regatta on San Francisco Bay, an endeavor that raised a record $1 million for cancer research. This annual all-out effort at The San Francisco Yacht Club is accustomed to being the top grossing regatta in the nationwide Leukemia Cup lineup. But a new-record gross just has to feel good. Real strides have been made in research and treatment. Real people are walking around now who would not be walking around without that research and treatment. But we’re not “there” yet. 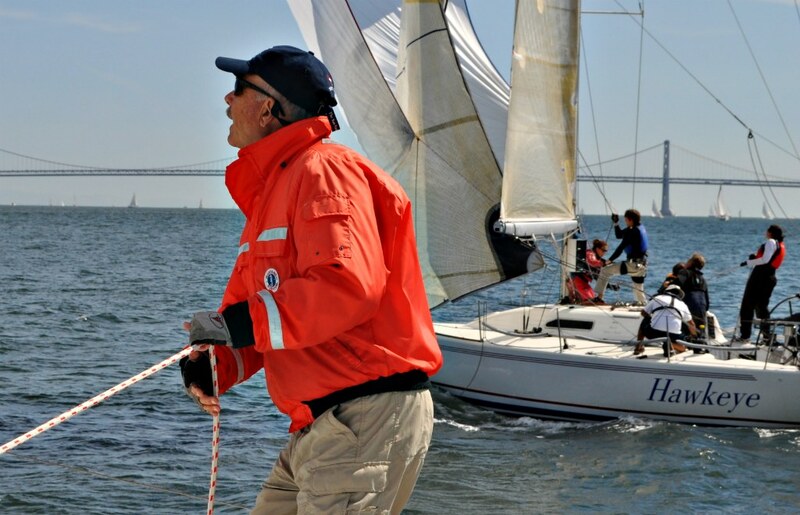 Eighty entries hit the course on Sunday, following a keynote at the Saturday night gala by venture capitalist John Doerr, a friend and colleague of a great friend of the regatta, Tom Perkins. You may have heard of him. He’s been sailing “forever” and he used to own a great big sailboat that now he just rents back when he feels like it. In between dive trips. And Tom has been the go-to guy for lining up keynote speakers. His secretary has a pretty-good rolodex, or whatever passes for a rolodex in the environs of someone at the apex of the tech world. Skip McCormick, a product of host SFYC, was the top placing skipper overall with his Farr 30, Trunk Monkey. Skip made an impression in Transpac 2012, assembling the electronics package on an emergency timetable for Jorge Ripstein’s TP52, Patches, and then navigating a Division 2 win. In Sunday’s race, he made an impression on the crew of Robin Driscoll’s Beneteau 523, Freedom, by shutting us out of the start. We played catch-up for the rest of the race. Unfortunately, he had every right to do what he did. And how many skippers trim their own spinnaker? Here’s Robin on the case . . .